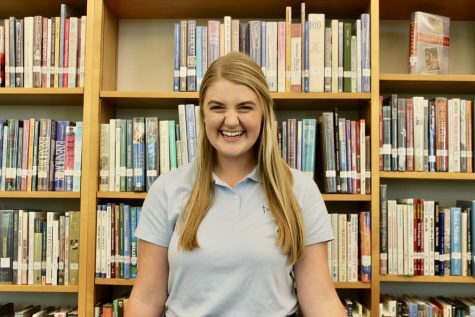 Delaney Wehde, a junior here at St. Dominic, is very involved in theatre, chamber choir and a plethora of other clubs and activities. Outside of school her hobbies include taking photos, watching seven out of ten of the Children of the Corn films, drinking coffee and hanging out with her pigs. She once listened to the song "Burning House" by Cam forty two times in a row. In the future, she dreams of traveling to Italy, Iceland and Sri Lanka.